Little Known Gems: Reviews and Interpretations: Interview with Garry Wallace, pt. 2. 5. 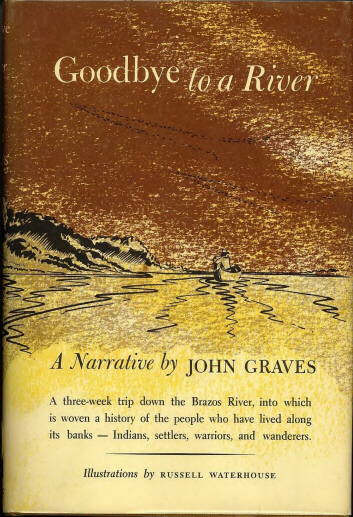 In your book, you mention John Graves and, on your website, you list one of his works among your top ten books. Have you ever met the man? Did you ever meet or correspond with the reclusive Cormac McCarthy again? 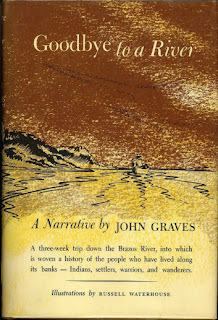 Garry Wallace: I enjoyed John Graves’ Goodbye to a River so much that I began reading it a second time immediately after finishing it the first time. There are passages that I found unbeatable. And no, I never tried to correspond with McCarthy again because I didn't want to become a pest. When Betty Carey and I sat with Frank Morton over breakfast, he mentioned that Cormac once told a fan, who’d watched Cormac read a newspaper, that he couldn’t help him with whatever it was the person needed. Certainly, I wished for some miracle to happen, which would endear me to the great author, but such a miracle did not happen. Later, I wished I’d at least have asked him to sign the books I’d purchased from the used&rare bookstore on Mesa avenue. 6. I like your list of ten favorite books, and the text of your book shows you to be very widely read. What other Wyoming and Montana authors would you especially recommended? Garry Wallace: I read A.B. Guthrie's The Big Sky many years ago, soon after I relocated from Iowa City to Missoula, Montana in 1975. My then wife and I had planned on moving to the Rocky Mountains after graduating from the Iowa university, but we ended up going different ways. She stayed in Iowa City to finish her degree, while I headed for Montana. . . Although I was depressed and lonely, Guthrie's book and the actual "big sky" slowly healed my emotional wounds. I hiked up Mount Sentinel hundreds of times, and most times I had the mountain all to myself, not counting my dogs. . . Eventually I read Stegner (favorite: Beyond the Hundredth Meridian, in part because it's about John Wesley Powell, and I live in Powell, Wyoming), Crumley and Harrison (Legends of the Fall), along with Ivan Doig (This House of Sky), Richard Ford (Rock Springs), and Thomas McGuane (Nothing but Blue Sky). In 1990 I had the pleasure of being in James Crumley's Yellowbay workshop beside Flathead Lake in Montana. He resembled a Harley-riding biker, but he was fair when commenting on another's writing. Of his novels, my favorite is One to Count Cadence, which he said was his favorite too. And I can't forget William Kittredge's The Nature of Generosity. 7. Back in 1989, Betty Carey and Cormac McCarthy both described themselves as outsiders. "Outlaws," was the word McCarthy used in your memoir. Do you still consider yourself a recluse? Do you still hunt? Do you still have Valley Girl? Garry Wallace: I’m still a recluse. I have one close friend with whom I share deepest thoughts and feelings. He and I teach at the same small college. We are both approaching retirement age. I recently read The Tartar Steppe by Dino Buzzati (1945), which is about the stages a man goes through during his adulthood, the hopes and dreams and reality regrets. I related to this book in that I never quite accomplished what I wanted. . .Still, each time a person compliments me on my book, the regrets temporarily disappear. My taste in books has changed as my experience with life has changed, and although I do enjoy some fiction, like Dino Buzzati's The Tartar Steppe and McCarthy's books, I continue to prefer nonfiction, especially biographies of notable individuals. 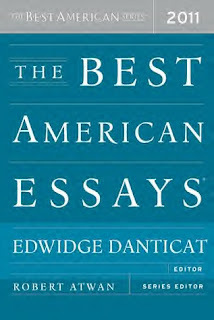 To my students--I taught English Comp for several years after earning an MFA from Bennington College--I stress clarity, and that's what I hope I'm good at. It was Hemingway, I think, who said to take the most difficult subject and explain it in the simplest words. The most difficult subjects include our very existence and our ability to have awareness and to think. So Man against God, or one man's beliefs vs. another's turn out to be each of our struggles to better understand. Men like Cormac McCarthy, Dino Buzzati, and so many more are blessed with the ability to demonstrate these battles waged in our heads. I do still hunt upland birds, but not as frequently as before. Degenerative disc disease, for which I’ve had five spine surgeries, laid me up for several years. I’ve recovered most of my strength over the past two years, and I’m looking forward to getting back into the field this coming autumn. Old Valley Girl is getting up there in years and her compromised right hock, which she injured at 4 months of age, slows her down and gives her pain. V.G. and I are both a bit messed up. Thank you for your time, Mr. Wallace. It was a pleasure to discuss books with you. 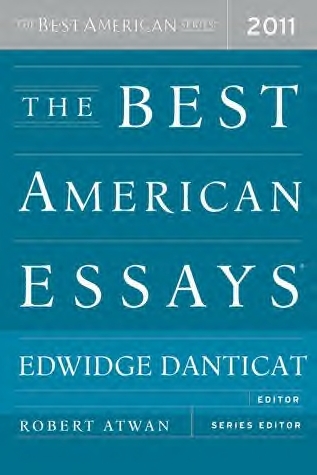 I'll be looking forward to your book of essays and other works as soon as they are available. This interview not only reveals additional thoughts on McCarthy by Wallace, but I think it reveals more about Wallace himself as writer and reader, teacher and spiritual person, which I found even more interesting! Thanks, Richard, for this great series of blog articles. Hey, Ken, thanks for dropping by. Gee these were just a terrific set of writings and interviews, Richard. Thanks so so much for sharing them!!!! Again, thanks for stopping by and commenting, Candy.